These well-equipped, one-bedroom townhouses in the four-star Las Lomas Village at the popular La Manga resort offer the ideal combination of comfort, freedom and flexibility. 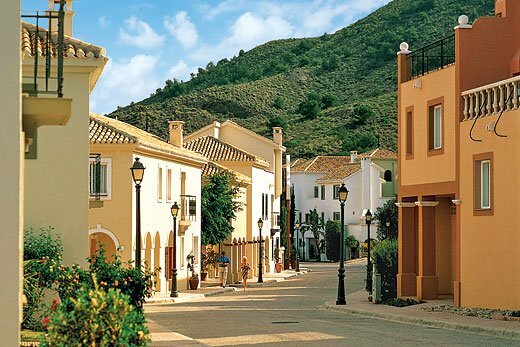 The 80 square metre Mediterranean village-style homes, which can fit one king or two single beds, are conveniently situated near the heated outdoor 20 metre x 10 metre swimming pool and close to the Spa La Manga Club and a choice of restaurants. The tastefully-decorated townhouses include a living area, fully equipped kitchen, en-suite bathroom and terrace or balcony. Among the appliances supplied are cable TV, a cooker, fridge-freezer, coffee machine, a microwave, direct-dial phone, safe and more. The light and airy Las Lomas townhouses, which include air-conditioning and offer free wi-fi, are ideal for those wanting the convenience offered by self-catering, and are situated in a tranquil, hillside environment. High chairs and cots are available for free on request. Check-in is at 4pm and check-out at 11am. These types of property are all of a similar design but can be different in layout, decor and furnishings.